This time of year families and friends gather to celebrate. Many of us send out annual greetings. 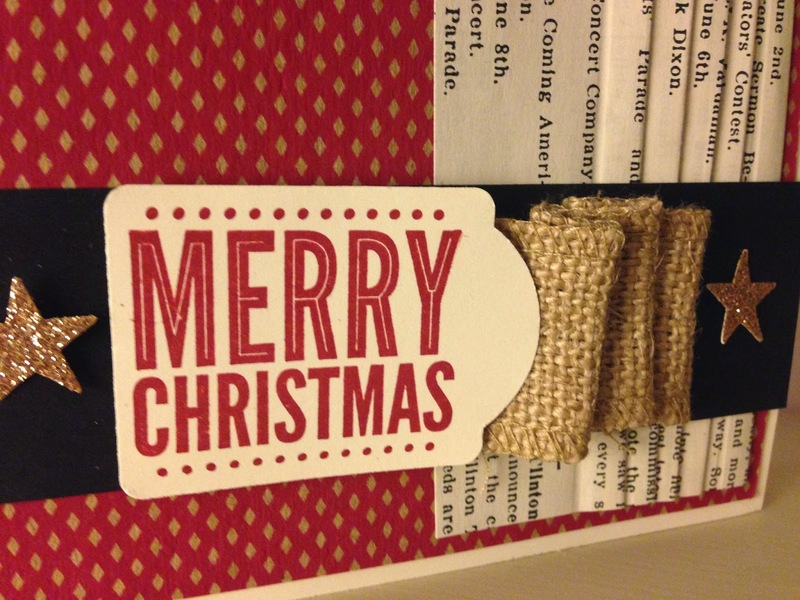 Nothing says I am thinking of you like a handmade greeting card. 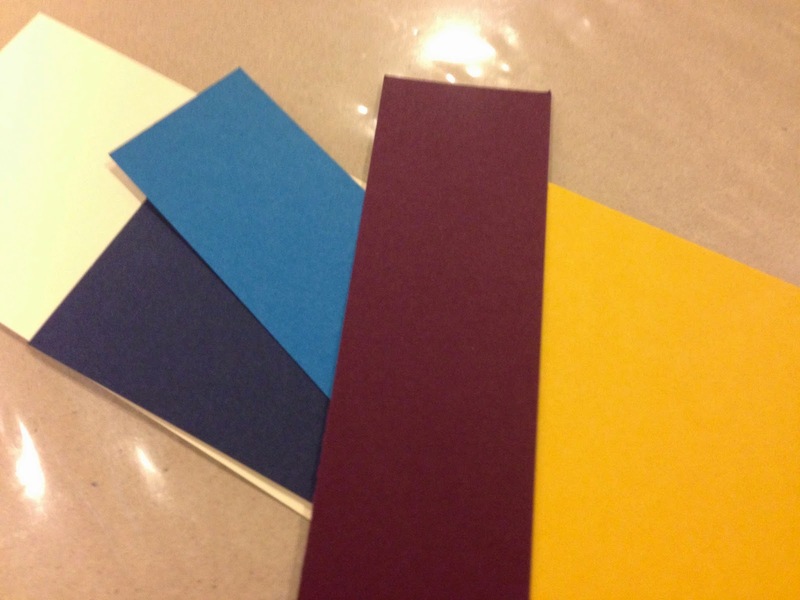 I have a few ideas to inspire and get your creative juices flowing to send your own homemade card. 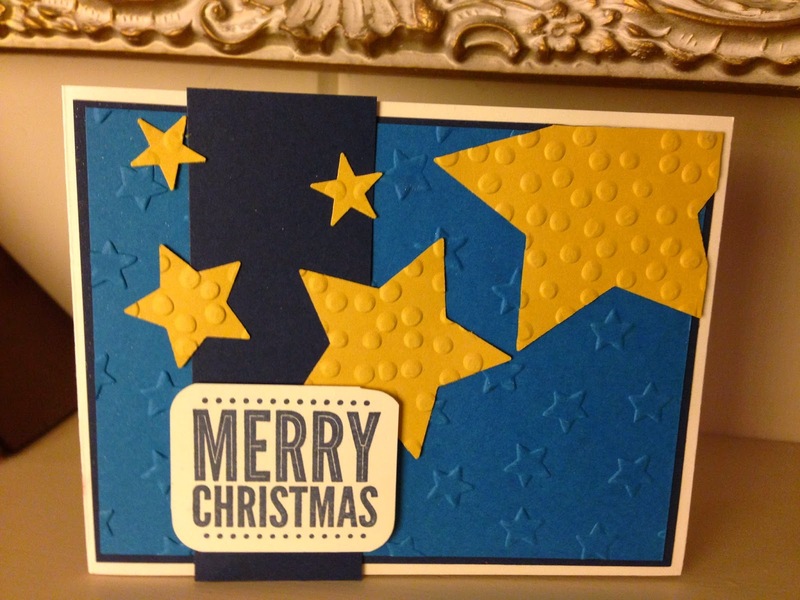 The first card I started by using up extra supplies from a previous swap. 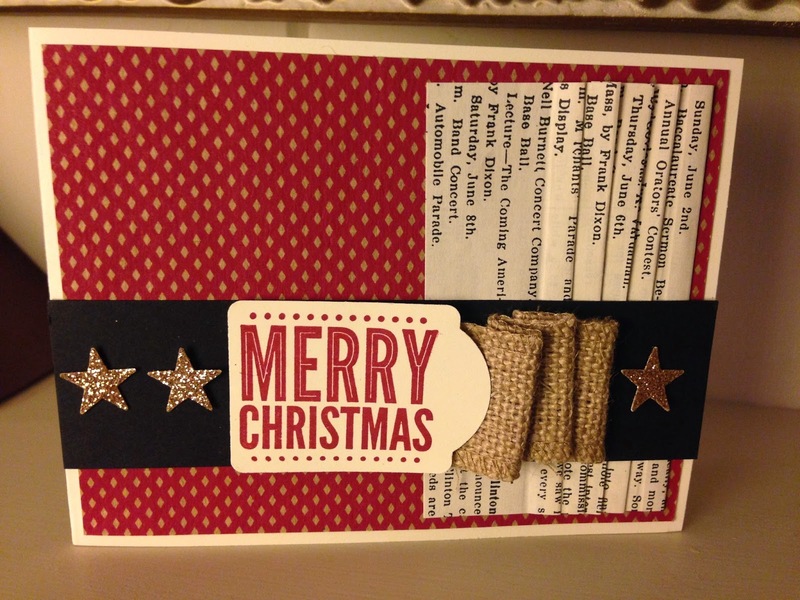 The card base, burlap ribbon and DSP were the extra items I had. For some reason I was inspired to create folds. And thanks to my daughter who suggested the black strip which ended up looking like Santas belt. 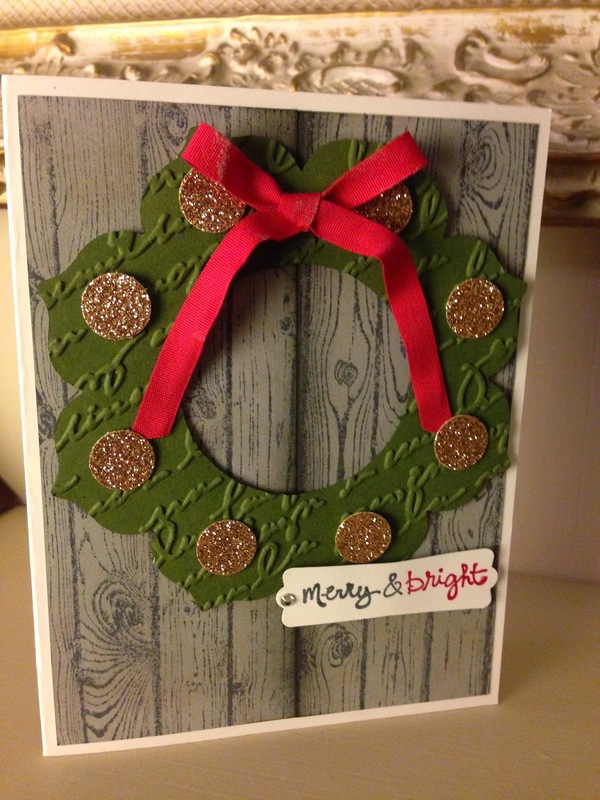 The card has a rustic santa feel. On the next card (by now my daughter was getting into this assignment and helping me.) 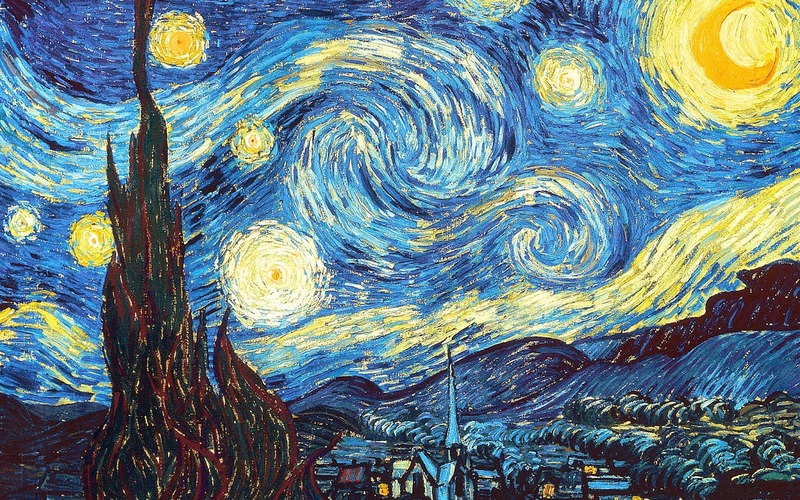 She suggested Van Gogh's Starry Night for inspiration for layout and color. I said to her I think I can work with that. My inspiration for the next card, again my daughter helped me out. She was describing what she would like to see, something very natural, and she said the word "rustic" and I was off. I think this might be my fave of the four cards. It was easy to do, and would be easy to replicate. I did split the cardstock for the door and rejoined the two pieces together with Scotch tape before adhering to the card base. I do apologize for the accidental retired products on this card. There should be some easy substitutes. Stamps - apparently a retired set with great fun greetings. For my final card since I had covered the Santa look, traditional. and stars, I thought was else does the season encompass? Presents! Another easy to replicate look. The presents look like they are staged on a hardwood floor. I hope that you find your holidays merry and bright and that these cards inspire you to send your own homemade greetings this holiday season. 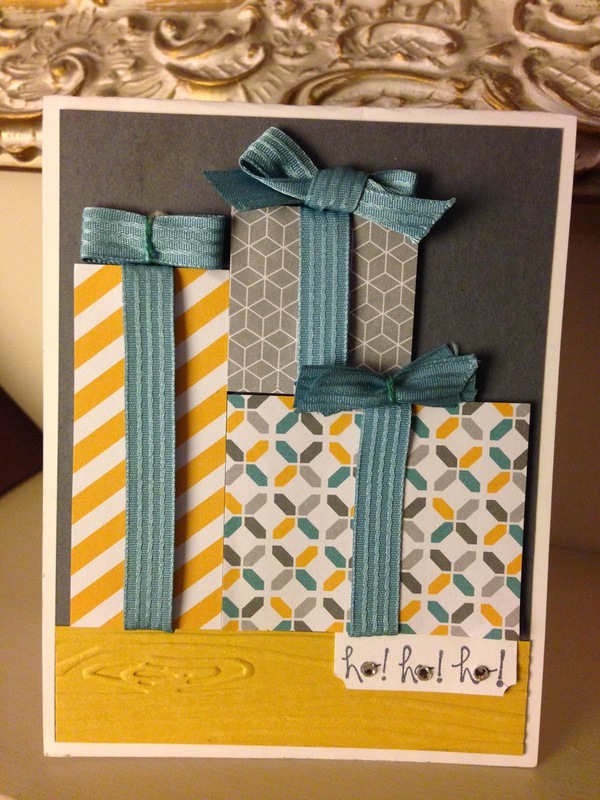 If you do want a quick, easy and affordable solution to mass reproducing cards try My Digital Studio 130646 $19.95 and you will never run out of ribbon or paper again!